Flaxseeds are pretty amazing little sprinkles of nature. High in nutrients, by either grinding them into meal or cracking the buttery, golden seeds, it's much easier to release their omegas and other good-for-you bits. If you can't get your hands on pumpernickel flour (like a few of our bakers) then dark rye flour makes a good substitute. 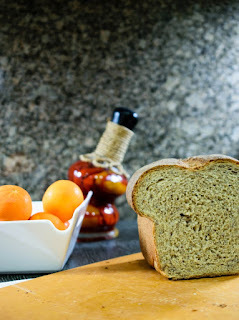 Rose created this lovely recipe that has a good, earthy texture and loads of flavor! Vicki took a back seat to this one and let her granddaughter and next-generation-Rose-baker take charge. This was her very first, start to finish loaf, and it was amazing! They enjoyed it with Irish butter and Irish cheese. Jeniffer decided to go a bit wild with her seed addition, adding in some beautiful chia seeds and sesame seeds. 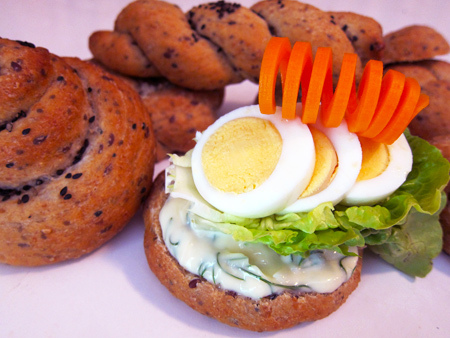 Instead of the loaf, she made some fabulous looking rolls and topped them with whole egg dill mayo, lettuce, egg, and carrot spirals. Elle made hers on a rather hectic Sunday afternoon, but her loaf still came out nice (except it did stick rather vehemently to the pyrex dish). Her family enjoyed this healthful loaf as sandwiches, or in Elle's case, topped with a FitGirl recipe of artichoke, spinach, sourcream, and a bit of mozzarella. 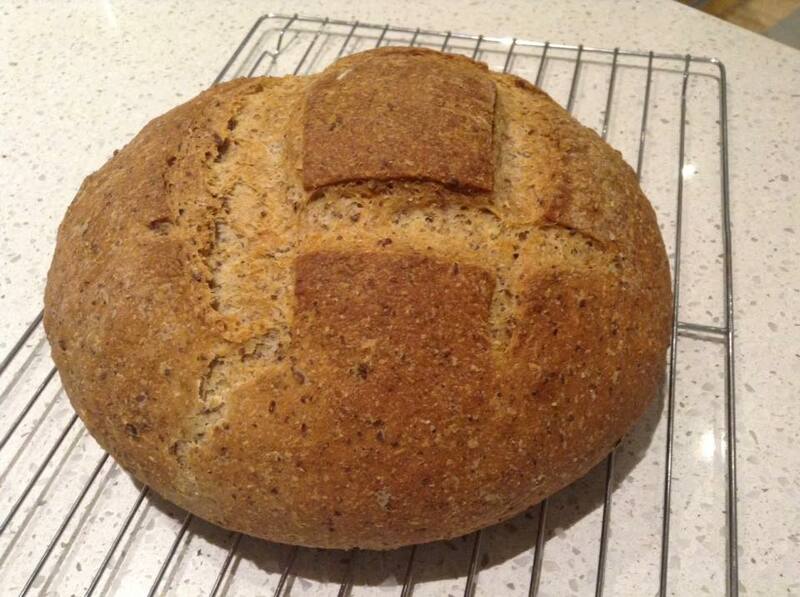 Catherine made hers in a round loaf style, and doesn't it look like something you'd find in a top-notch bakery? She too thought the loaf's texture and flavor were a winning combination. 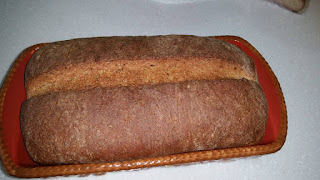 Patty felt the impatience of having to wait the full 2 hours for this loaf to cool down - but it was worth the wait! She's definitely putting this recipe in her baking rotation. Laura got some serious oven spring for her loaf! A really nice-looking crumb, too. She agreed with Rose that this was a lively dough, and it turned into lovely bread. 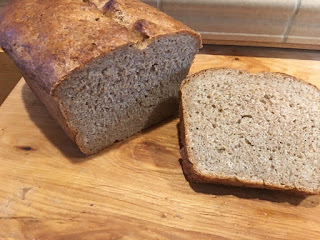 Sheryl wrote a lovely post on the healthy flaxseed bread. We completely agree that this is a fantastic sandwich-style loaf and what a way to blast your daily diet with some extra nutrients! Great job, bakers! See you all next month. This is such a great bread. Loved it toasted! Everyone's turned out very nicely. 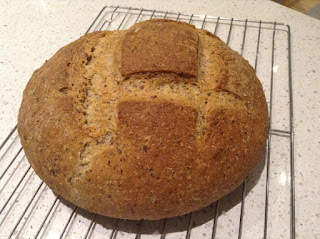 I agree with Vicki - this was a another great bread and it was particularly lovely toasted. Nice round up again Elle, thanks.